All industries need to think ahead and build better products as fast as possible. On the other hand, they have to make sure the components are in conformity with the original design intent of high-quality standards to avoid any safety issues. We could divide the product development of a component in three steps: design, manufacturing, and finally quality control. For a new product, it all starts with the design. Sketches and mockups are made, then a first CAD model is created to build the first prototype. 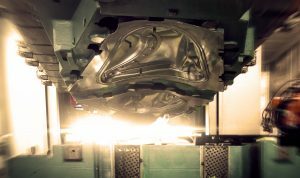 When the part enters manufacturing, tooling is made and maintained to ensure quality over time. Manufacturing is closely related to quality control. First article inspection lets the manufacturer take multiple measurements of the first part produced to verify it matches the original 3D model. If it doesn’t, it goes back to design or manufacturing, depending on the root cause. This whole process is as relevant for aftermarket manufacturers in any industry. 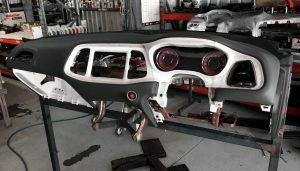 If you are working in aftermarket industries with existing products that need to replace a component or customize it, you will need to use reverse engineering. It will allow you to get dimensions from the original product to ensure your new product will perfectly fit. Wherever you are in the process, you need to deal with different challenges in the best way possible to optimize productivity at all steps. This is where 3D scanning comes in handy. Portable 3D scanners are now becoming a must-have for anyone looking to make the best products at minimal cost and timespan. 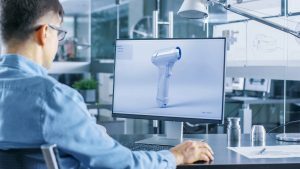 Portable 3D scanning technology can be used for different applications in any product lifecycle management process and by anyone, regardless of their experience with 3D technology. 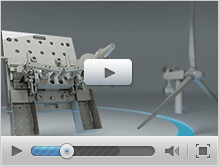 During product development, designers usually need to create or recreate complex shapes in CAD software. Traditionally, trial and error, measuring tapes, or even cardboard are being used. These methods are not efficient at all and cause a lot of iterations, increasing time to market. Another difficulty is creating your design from scratch into a CAD software. This is no easy task since you won’t ever get the same feeling shaping something digitally as you would with your hands. Therefore, the prototype can differ from your original idea. With a handheld 3D scanner, you can actually design a physical prototype, 3D scan it, and export your mesh to a CAD in order to optimize the design. For example, a big challenge in the aftermarket industries is the inability to get original CAD files. Replacing a part without these could be a lot of trouble, but not with 3D technologies. Anyone can easily use a 3D scanner to recreate the part and keep a 3D model for the future. All you really need is the physical object to get 3D data of fixation points and dimensions in which the new component needs to fit in. Another use of 3D scanning is competitive analysis. Using a handheld 3D scanner will allow you to easily and rapidly analyze your competitors’ products to optimize yours and make sure you develop what’s best for your customers. During manufacturing, finding the root cause as fast as possible is essential to avoid bottlenecks in the production stage of the product lifecycle management. You need to know if the problem comes from either the design or the tooling to go back exactly where it went wrong. 3D scanning saves the day by letting you measure your tooling and part then inspect them rapidly to pinpoint defects and solve them. Not only is getting dimensions easier, but you will also have a much better overview of the entire product in a single scan. Tooling maintenance is crucial, and portable 3D scanning is the fastest and most reliable way to inspect your tools at any point in their lifecycle. When finally reaching quality control, the process must be extremely reliable and as fast as possible. Using a portable 3D laser scanner will give any controller the capability of gathering measurements of complex shapes to perform inspections by comparing scan data to the reference 3D model. Based on the accurate insights they get, they will be able to decide whether parts are accepted or rejected in no time. 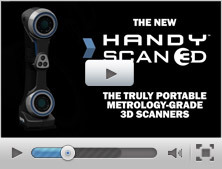 As you can see, 3D scanning is becoming essential for any actor in product development. The productivity increase is a significant advantage. 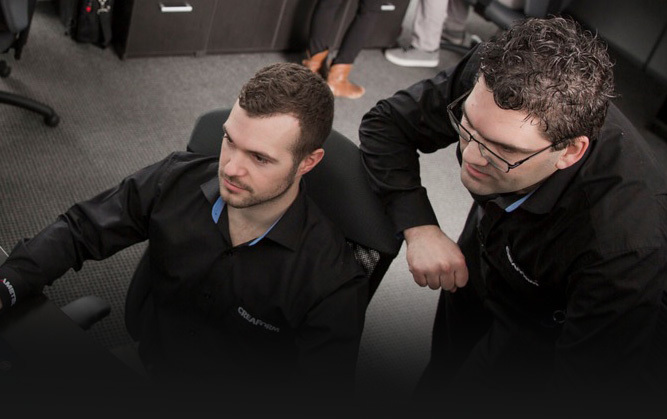 The ability to respond quickly to any troubleshooting or approbation step while being sure to get things right every time is something a 3D laser scanner will bring to your business. Are you ready to hop in for the next big innovation? Provider of engineering services (numerical simulation (CFD/FEA), advanced surfacing and product development) and of metrology services (3D scanning, inspection, reverse engineering). Head office in Lévis, Canada and offices in United States, France, Germany, Brazil, China, Japan, India, Korea and Singapore. This blog is definitely about innovation - about new technologies, new methodologies, new projects and new outcomes. Through this blog, we will reach to the whole Creaform community and share info about the 3D world – our world.